Gervasi Vineyard is one of LMAC Photography's favorite locations in NE Ohio. It is located in Canton, Ohio. LMAC has had the privilege of photographing many weddings and engagements at Gervasi and it never disappoints. Gervasi Vinyard has a couple of reception options depending on the number of guests invited to the wedding. It also features gorgeous grounds and vineyards for the photography. Gervasi also offers villas for guests to stay so there really is no reason to leave the grounds. This photo was taken as a guest happened to be biking past where we were photographing the bridal party. 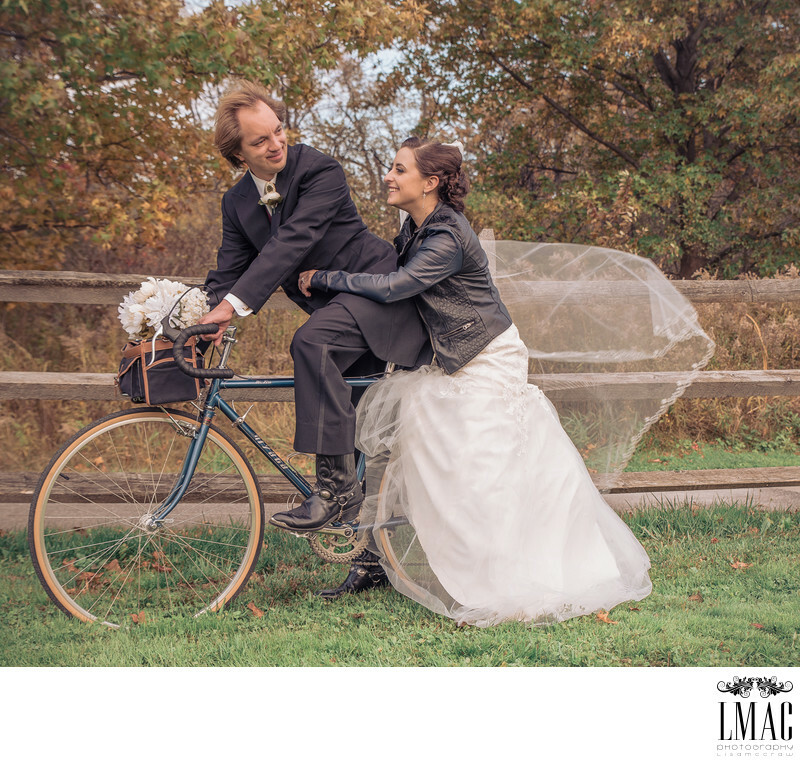 We asked if we could borrow the bike for a few bride and groom portraits and this is the end result. This couple also incorporated many elements of rock and roll to their wedding, thus the black leather. The addition of the delicate bridal bouquet added the yin and yang to this couple's portrait. Location: 1700 55th St NE, Canton, OH 44721.